A fire last month at a LG Chem battery factory has caused a shortage of li-ion batteries used in notebook computers resulted in higher battery pack prices. The fire caused the shut down of the facility in Ochang, South Korea. Dell says the computer industry is now experiencing a shortage of li-ion notebook batteries due in part to the fire. Dell says it is working with other suppliers to limit any price increases. Dell, the world’s second-largest PC maker after Hewlett-Packard Co, also said prices of its separately sold batteries used as replacements or for surplus power had gone up because of the shortage caused partly by the March 3 fire at LG Chem’s Ochang plant. Dell spokesman Jess Blackburn said, declining to say by how much. LG Chem has two battery plants in South Korea (LG Chem competes in the laptop battery business with Samsung and Japan’s Sony Corp among others). LG Chem is the second biggest South Korean rechargeable battery make. The plant that was shut down has a monthly production capacity of 13.5 million cells. LG Chem’s total monthly battery production capacity is 23.5 million cells. 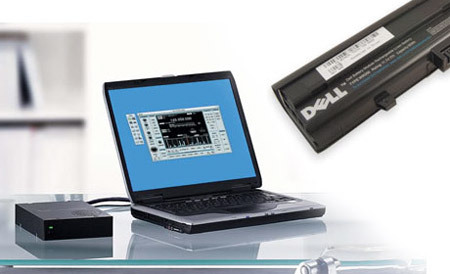 Dell Laptop Batteries at low prices!